Low-carb eating is, without a doubt, a healthy and effective way to lose weight for many people. If you decide to go this route, just be aware that you’ll need to bone up on the basics of low carb eating first. Don’t be put off because of the possible drawbacks – you can deal with them. I’ll prepare you to be on your game when it comes to a successful low-carb lifestyle. These side-effects will subside once you get into an ongoing low-carb way of eating. 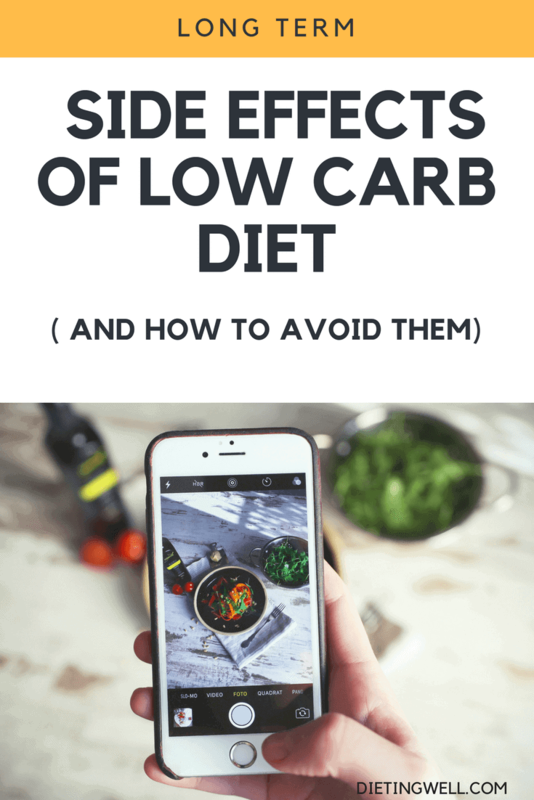 I’ll give you up-to-date tips on how to deal with these obstacles, along with a brief overview of why, for many people, low-carb eating is especially suitable for maintaining good health and optimum weight. It may sound strange, but there’s honestly not that much difference between us and human cave dwellers from 100,000 years ago, at least physiologically! Evolution is a very s-l-o-w process, and the million or so years that hominids like us have existed are a flash in the pan compared to the millennia that life has existed on this planet. Early man followed a low-carb diet out of necessity. People of the Paleolithic Era ate whatever they could get their hands on, including nuts, berries, wild vegetables and occasional grains. Intermittently, a large hunk of meat in the form of a deer or bison came their way. When it did, everyone gorged themselves on this high-quality protein because they didn’t know how long it would be until they had access to more of it. Plus, meat didn’t keep very well back then because cave dwellers didn’t have refrigeration. Are you starting to see a pattern here? The Paleo diet depended on foraging for wild fruit, nuts and veggies, supplemented by protein from fish, fowl and sometimes larger game. That’s pretty much what you eat on a low-carb diet. Luckily for us, because of farming, we now have a lot more access to the green, healthy and low-glycemic veggies that are the foundation of a healthy low-carb diet. As you might guess from the title of this segment, water is one of the most important ingredients of a low-carb eating plan. Water is a wondrous substance, keeping our skin soft, helping us digest food, and getting rid of impurities. When it comes to a low-carb way of eating, water is even more vital for good health. The thing is, though, carbohydrates hold on to that water for us. When you limit them, water passes more quickly through your system. Once you’ve acquired the marvelous fat-burning metabolism of a low-carb diet, there really aren’t many carbohydrates for your body to use for retaining water. In the first place, you aren’t eating that many of them. In the second place, once the meager supply of carbs has been consumed, the incredible machine that is your body will immediately turn to glycogen (glucose) in the liver for energy production. Breaking down glycogen releases water. After that, your body starts breaking down fat cells, which also releases water. The bottom line is that it takes water for your metabolism to convert glycogen and fat to energy. This is yet another reason to keep drinking lots of it, especially in the early weeks of your low-carb adventure. Many low-carbers keep a water bottle handy and refill it throughout the day. Having it nearby reminds you to drink up and stay hydrated. Ironically, upping your water intake like a good low-carb dieter has some drawbacks. One of these is that some of the potassium will be flushed from your body. That’s what causes those irritating leg cramps that wake you up in the middle of the night. A more serious consideration is that your heart needs the right balance of sodium and potassium to operate properly. This isn’t as scary as it sounds, however. If you’re new to the low-carb lifestyle, you’ll definitely want to take a potassium supplement. The over-the-counter strength is fine, and you should start with one a day. If leg cramps persist, you can raise that to two tablets a day. You’ll notice that these supplement tablets contain a tiny percentage of your recommended daily requirement. That’s because you can’t mess around with sodium/potassium levels. A little tweak is all that’s needed to get you back on track. An even better way to get more potassium is to eat foods high in it – bananas, dark green leafy vegetables, brussels sprouts and fish. If you’re just starting out on a low-carb eating plan, you’ll want to forgo the bananas, but you’ll be able to integrate the occasional half a banana into your diet once the fat-burning process gets going. In the early weeks of low-carbing, you’ll get pretty good at mapping out just where the restrooms are at places where you hang out. That’s because of all the water that’s flowing through your system, causing frequent urination. This inconvenience will taper off after you get through the two-week induction period and then the early weeks of low-carbing. At that time, you’ll start adding smart carbs to your diet that help your body hang on to water. Whatever you do, don’t cut down on water to keep from having to make so many trips to the restroom, or you’ll be sabotaging your diet. Low-carbing, Paleo Diet, Atkin’s Diet, Southbeach Plan – whatever you call it, low-carb living is a lifestyle eating plan, not a quick fix. The extremely low amount of carbs allowed during the induction phase will give way to more carbs while you actively try to lose weight. Eventually, you’ll add some more carbs when you move on to maintenance. At this point, you’ll start eating healthy for a lifetime. You’d think that all that water consumption would keep you from having constipation, but that’s not always the case. In the early stages of converting to a fat-burning eating plan, you may have this problem. Generally, if you drink enough water and get at least some exercise, you can stay regular. As a matter of fact, the low-carb lifestyle is easiest to maintain when you’re getting exercise, even if it’s just walking around the block every day. When following a low-carb eating plan, you’re avoiding starchy foods that have a lot of fiber, and fiber keeps you regular. If you do get blocked up, a gentle stool softener like Colace can help with the problem. Choosing vegetables that have the most fiber for your meals will also help. If needed, you can also take a fiber supplement. Just make sure that it doesn’t have any added sugar. The combination of plenty of water, moderate exercise and enough fiber in the diet is your best bet for staying regular. This is sometimes seen in women who are burning fat quickly for the first time. Why? Because hormones are stored in fat. When fat cells begin to disintegrate, everything in them is released. Extra hormones in the bloodstream can cause a woman’s periods to become irregular and cause occasional spotting. Luckily, if you experience this, it’s not going to continue indefinitely. Once fat stores are depleted enough, hormones in the bloodstream should level off. Interestingly, women actually need a certain amount of body fat to be able to menstruate. Females who engage in professional sports may become so lean and devoid of fatty deposits that their menses ceases altogether. It’s not surprising that people sometimes have mood swings when they’re losing weight. Body chemistry is a complicated thing, and it certainly affects our mental state. The hormone release I mentioned can be one cause of mood swings. Simple stress on the body as it tries to keep up with the physical changes you’re going through is another. The good news is that, once your body has adapted to burning fat as a primary fuel, you’ll feel a burst of energy. Low-carb dieters report that the cravings and hunger pangs they experienced during induction are greatly lessened and even disappear. Once you’re habituated to a low-carb diet for the long term, your mood should actually be better than pre-diet. No more sugar highs that crash into low-blood sugar lows. No more carb fog and midday sleepiness, because you’re keeping your body fueled the healthy way. Those who are low-carbing generally have a lowered tolerance for alcohol. Sometimes, it’s so pronounced that one glass of wine or mug of beer will have the same impact as downing two of them. This is related to the need for frequent water consumption, even if you’re faithfully drinking your water. It’s because your blood volume is lower than it was before you started restricting carbs. This is a natural outcome of low-carb eating, and it won’t be as pronounced once you’re on a maintenance diet. Alcohol should be limited anyway during a weight-loss plan because it turns to glucose in the bloodstream. Just be aware that your tolerance for alcoholic beverages may have changed. It’s a good idea to start with half of your regular serving the first time you have a drink after starting low-carbing. Not everyone experiences these problems, but most people run into one or more of them. It takes time for your body to adapt from a typical eating plan that includes lots of carbs to a diet that restricts them. Once you’re following a maintenance plan, you’ll be consuming enough carbohydrates not to be troubled by the problems from the first few weeks. Many people have successfully completed the low-carb induction and weight-loss phases and continued to live a low-carb lifestyle permanently. Once you’re on maintenance, your sensible diet will include small amounts of high fiber carbohydrates like brown rice, oatmeal, and sweet potatoes. You’ll have fruit occasionally, in addition to the lean protein and vegetables that make up the bulk of your diet. You’ll feel better and you’ll look better. Following a healthy diet and getting moderate exercise is a recipe for a long and healthy life. You got this! What do I do about trips away from home where controlling what I eat is more difficult? Alcohol does not turn to glucose. OTOH, you will metabolize it before processing other macro nutrients. Struggling with an extra 50lbs. A family member using the diet. I figured to give it a try. This is definitely the way to go if you wish to loose weight. Down from a 40cm to 34 cm waste. A good read and explanation even more than my Dr has given me. Waist not waste. 6 cm is a decent loss but how long did it take? Thank you for the keto info. It was really helpful as I just started my keo 3 days ago and am having very serious problems with dehydration. I have Addison’s Disease and take 20 to 30 mg of cortef which makes you retain water and it can and did give me Type 2 Diabetes. These 2 problems has put extra 50 lbs on me. Low calorie does nothing but I feel positive that this low carb diet will help. I was eating a vegetable beef casserole the past 3 days but it does not have enough protein and fat. My blood pressure has been getting too high (200) at times but I take a drink called H2ors used for those people who are on chemo. It is great for hydration and within 30 minutes will lower my b/p and rehydrate me. Wish me luck. Thanks again for the helpful tips.